whimp's wrap-up - January: "I failed in 2018, but I am extremely hopeful for the future"
"I will put together a team that consistently can compete with the very best and win big trophies, I will change the perception of what is demanded of a professional Esport-athlete, I will create a sports organization that is recognized by its' truly unique culture, I will design and implement a performance model that fosters the best players but also cultivates the virtues and values of great role models and proper humans." These were some of the objectives I set for myself before I decided to say "yes" to North in December 2017. ... and what a beast it was! 2018 was a year of constant struggle for our fans, team and players. We failed at multiple qualifiers and events. We made five changes during the year, so only two from the original line-up including the coach are the same as the beginning of January 2018. We let down our fans way to often, and even though we managed to clinch the trophy at DreamHack Masters Stockholm, which was an impressive feat, the taste of the event faded fast. I failed as Director of Esports based on the objectives I set for myself. However, the objectives above only serve as my beacon, so I know the direction of our journey. 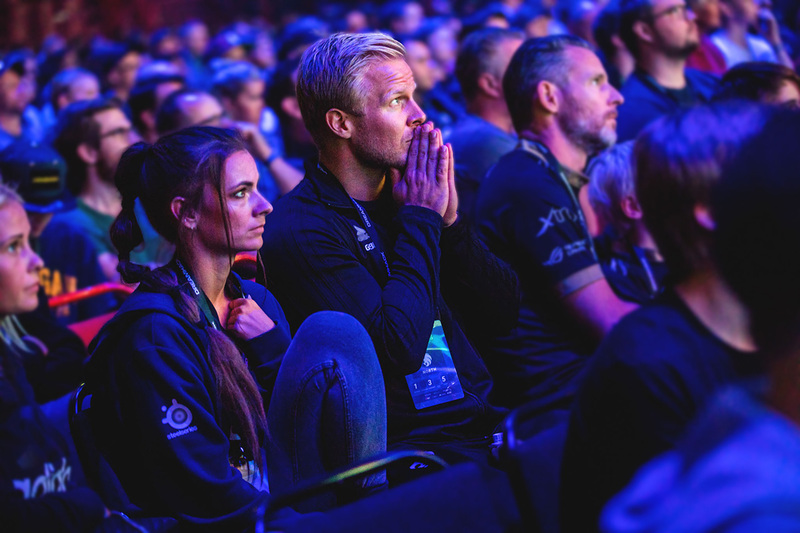 Whimp watching a nail-biting match at Dreamhack Masters Stockholm where he saw his team beat Astralis in the final. The beacon is still beaming brightly, and none of us are interested in settling for the conquering of the Island of Mediocre Results. Giving up has never been a part of my nature, and despite the struggles, the hard lessons and the challenges ahead, I am extremely hopeful for the future of North. In 2018 North was almost a faceless organisation in the times of despair, which was not fair to our fans nor the community. This is something I am aiming to tackle in 2019! In the coming months I will write blog posts that give context to our earlier and future decisions. Some posts will give insights into our routines and practices and most of them will probably just be me rambling about my passion for esports. My ambition is that the readers will be able to get a sneak peek into our culture and values, and hopefully they will be able to see the beacon beaming. 2019 is going to be an exciting year and it starts next week with the Minor Playoffs! Let’s get it!